Great West Location on a Large .40 Acre Corner Lot with Gorgeous Majestic Oaks and Lots of Privacy! Well Established Neighborhood Close to Amenities. 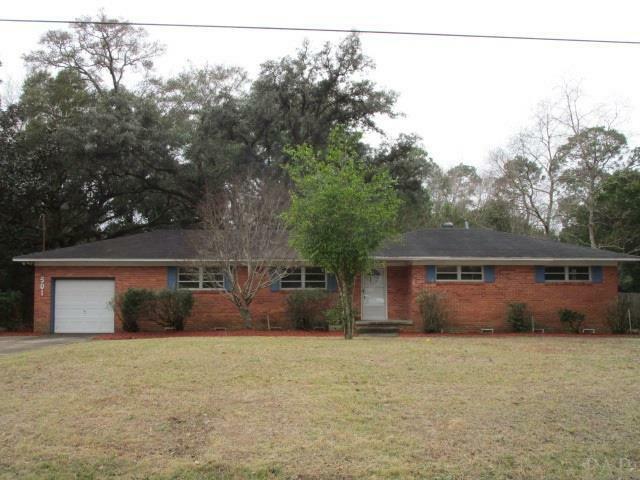 This 3 Bedroom, 2 Bath Brick Ranch Features Hardwood Floors, Retro Tile in the Bathrooms, Spacious Family Room, Kitchen with Breakfast Room PLUS Tiled Florida Room, Fenced Back Yard and Attached Garage. Listing Agent has taken all of the information from the County Property Appraiser&apos;s website. While the Listing Agent does believe that the acquired information is accurate, the Buyer and/or Buyer&apos;s Agent should verify all pertinent details related to this property, including but not limited to parcel dimensions, acreage, school zone, zoning classification, land use & any other information that may affect the Buyer&apos;s decision to purchase this property.